Small, elegant and almost invisible. 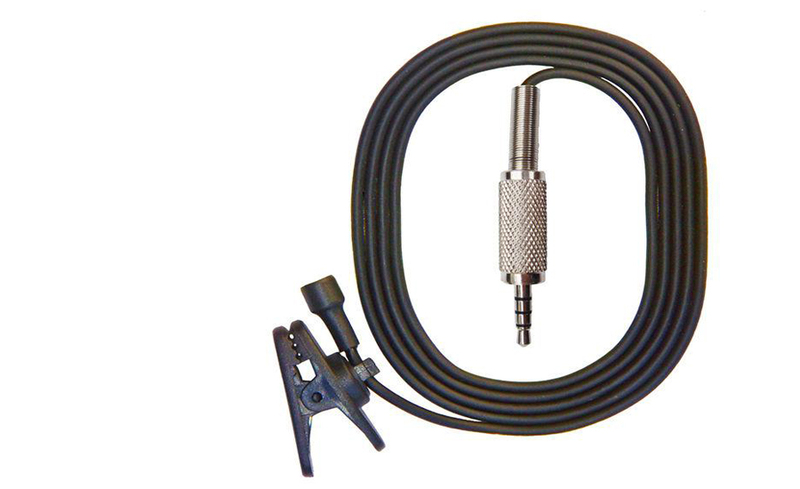 This clip-on lapel microphone is well suited for interviews and presentations. But may also be used for speech pickup in sermons, presentations, instruction, etc. The microphone's cable plugs directly in your iPad, no adapter needed. The perfect microphone accessory to the Movie Mount.